Dominicans in search of truth and justice engage with one another on many issues of concern. 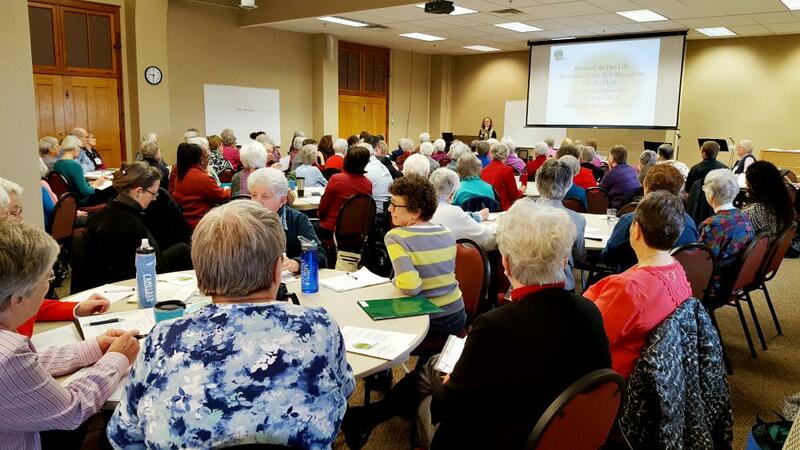 The Dominican Sisters~Grand Rapids collaborate with the North American Dominican Promoters of Justice, Peace, and Care of Creation which represents Sisters and Brothers in Dominican Congregations. Learn about our priorities in the Dominican Call to Justice Guide 2017-2019. We are also members of the United States Catholic Sisters against Human Trafficking and serve on their educational committee. We meet regularly with the Justice Promoters of Religious Congregations of Michigan and Indiana for updates about human trafficking in the U.S. and around the world and focus our initiatives. The Dominican Sisters~Grand Rapids are part of an international community striving to implement the United Nations Sustainable Development Goals to end poverty, protect the planet, and ensure prosperity for all. In West Michigan, we are closely aligned with The MICAH Center, the West Michigan Coalition for Immigration Reform, Human Trafficking Task Forces (Michigan/Kent County), Christian Reform Office of Social Justice, and others.